Joseph Black had a very steady hand. During lectures he was able to pour boiling water and acid without spilling a drop. Economist Adam Smith complimented Black by saying of him: 'No heid [head] was ever less filled wi' [with] nonsense'. Born in Bordeaux in 1728 to an Irish father and a Scottish mother, Joseph Black spent his working life in Scotland. He is considered one of the world's most eminent chemists and one of the founding fathers of the science of chemistry. Black was a modest man and an excellent teacher. His meticulous research techniques were an inspiration to others in his day and have remained so today. During his primary years Black was educated at home by his mother. When he was 12, he was sent to live with relatives in Belfast and attend school there. Four years later he went to Glasgow University to study medicine. Scottish doctor and chemist Dr William Cullen (1710-1790) was beginning a new course of lectures in chemistry at this time. Black became Cullen's laboratory assistant. Chemistry was a passion for Black, alongside his medical education, which he completed in Edinburgh in 1754. Black was always a meticulous chemist, keeping careful note of all his results and measurements. It was this which led to his discovery of carbon dioxide. Black intended to pursue this study further. However from 1756 he became occupied with duties associated with his new appointment as Professor of Chemistry at Glasgow University. Black also took an interest in the science of heat. In the 18th century there were several competing theories about the nature of heat and how it related to temperature. Black's investigations not only clarified the distinction between temperature and heat, but also resulted in the theory of latent heat. Around this time, Black met James Watt in Glasgow, and they became friends and collaborators. Watt was a skilled engineer investigating the efficiency of steam engines. He produced model engines for Black to use in his lectures on the properties of heat. As well as Watt, another close friend of Black was James Hutton. Hutton left his collection of fossils to Black upon his death in 1797. Both men were Fellows of the newly founded Royal Society of Edinburgh. They were also members of the Oyster Club, a group of intellectuals who met regularly in Edinburgh. In 1766, Black moved back to Edinburgh to become Professor of Chemistry. He was known as an excellent teacher who inspired a number of his students to pursue careers in chemistry. He was also widely respected both as a scientist and a physician. Several medical works of the late 18th century contain dedications to him. Black was called upon as a consultant to give his expert opinion in many different areas. Although Black appears to have had many friends, he never married. He died in 1799, quietly in his chair, holding a cup of milk. Black's obituary was written by the philosopher Adam Ferguson. Black has a rather impressive grave in Greyfriars Churchyard, Edinburgh. Both Edinburgh and Glasgow universities have named their chemistry buildings after him. 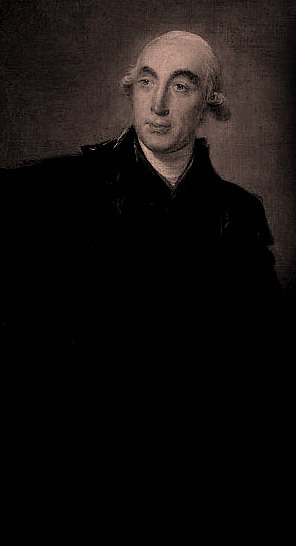 In our public poll, Joseph Black was voted the sixth most popular Scottish scientist from the past. Portrait image: David Martin, Professor Joseph Black, Scottish National Portrait Gallery on loan from the Royal Medical Society, Edinburgh.